Every Friday, Studio B Dallas visits a local fast casual concept for lunch to critique the brand (and eat lunch). 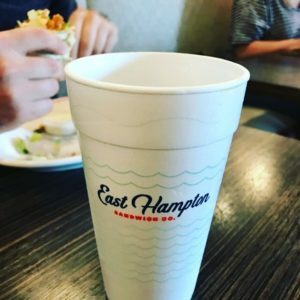 Three rules apply: it’s a concept we haven’t been to, it’s been in the restaurant news and is within 10 miles of our office. Wait, four rules – it can’t be sushi. Danny doesn’t do sushi. 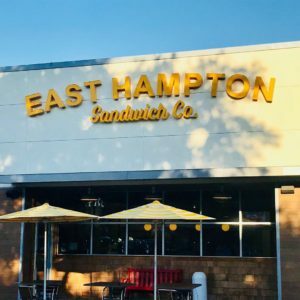 This week’s #FridayFeed is East Hampton Sandwich Company on Oak Lawn. Excellent branding via logo, signage, decor and merchandising. 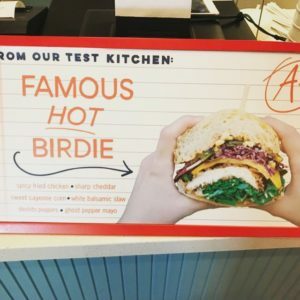 Effective marketing as well – I was sucked in right away by the FAMOUS HOT BIRDIE on the test kitchen menu. Post visit to the website and kudos! – they split their digital real estate between food shots and lifestyle imagery. Props for promoting their BRAND on all platforms. 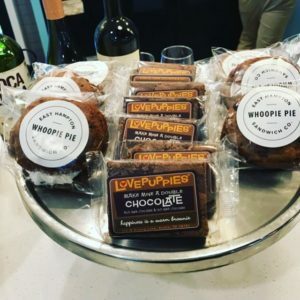 We give it an A for brand and food.